This book is a detailed and wide–ranging account of the birth of social theory as a distinctive and modern intellectual genre. 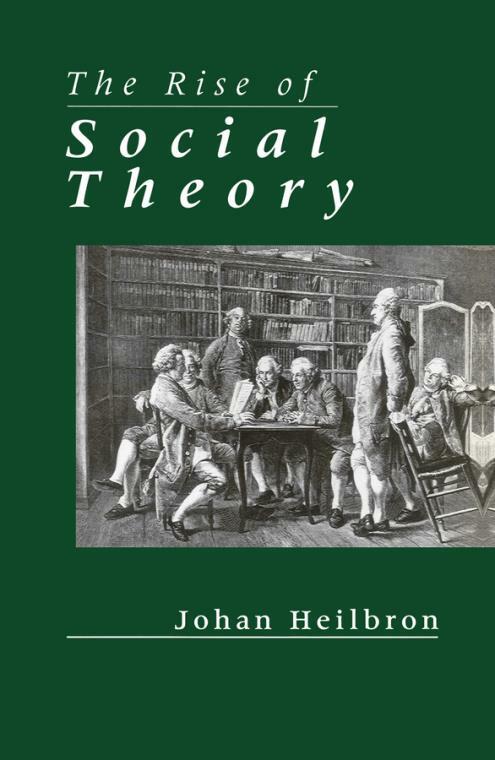 Focusing mainly on France, Heilbron traces the origins of modern social theory in the Enlightenment and discusses the work of early theorists such as Montesquieu and Rousseau, although he also deals with the Scottish moral philosophers. He examines the trend towards scientizing social theory in the decades around 1800 and analyzes the first attempts to formulate sociology as a relatively autonomous discourse, culminating in the writings of Comte. Heilbron argues that it was the natural sciences, rather than moral philosophy or natural law, which became the leading intellectual model in the nineteenth century. The mathematician Cordorcet and a physiologist, Cabanis, were the most prominent representatives of this trend. Combining social and intellectual history, Heilbron examines changes in social science within the context of wider developments in the intellectual domain, and discusses the social conditions under which these changes occurred. The Rise of Social Theory is both a brilliant account of the ′pre–history′ of sociology and a vivid portrayal of intellectual culture between the Enlightenment and the age of Romanticism. It will be welcomed by students and researchers in the social sciences, social and cultural history, and the history of science. Part I: The Rise of Social Theory:. 1. Intellectuals Between Academy and Salon. 3. French Moralists and the Social Order. 4. The Construction of Social Theory. 5. Theoretical Models Compared: France and Scotland. Part II: From Social Theory to Social Science:. 6. Reform, Revolution and the Napoleonic Era. 7. Intellectual Transformations Around 1800. 8. Natural Science and Revolution. 10. Models for a Social Science. Part III: Foundations of Sociology:. 11. The Interrupted Career of Auguste Comte. 12. Politics, Science and Philosophy. 13. The Turn to the Philosophy of Science.